But numerous Democrats in agriculture circles buzzed with frustration over what they regarded as halfhearted efforts to engage rural voters. 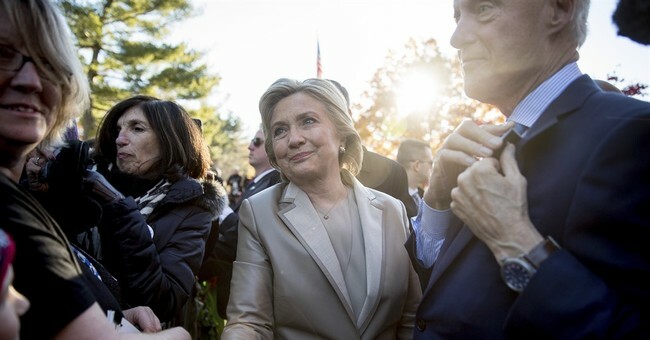 Agriculture Secretary Tom Vilsack had urged the Clinton campaign to shore up rural outreach, multiple sources said, beating the same drum he has for several cycles as Democrats have seen their rural support steadily erode. By all accounts, the Clinton campaign didn’t think it really needed rural voters, a shrinking population that’s reliably Republican. The campaign never named a rural council, as Obama did in 2012 and 2008. It also didn’t build a robust rural-dedicated campaign infrastructure. In 2008, Obama had a small staff at campaign headquarters dedicated to rural messaging and organizing efforts and had state-level rural coordinators in several battleground states throughout the Midwest and Rust Belt. The Clinton campaign did not respond to questions about whether it had a rural strategy. One source said a staffer in Brooklyn was dedicated to rural outreach, but the assignment came just weeks before the election. There's been a sense that Democrats could largely write off the rural vote, as rural voters have left the party because the exodus was offset by demographic growth among urban and nonwhite voters, among others, said Tom Bonier, CEO of Target Smart, a Democratic data and polling firm. "That calculus didn’t work this time,” he said. “The dropoff was steep. There does need to be a strategy to reach out to these rural and blue-collar white voters." The irony is that Clinton actually has a long track record of engaging rural voters. She was popular in rural New York when she served as senator. She dedicated tremendous staff resources and time visiting upstate communities, talking to farmers and working with rural development leaders. Over time, she won over even staunch Republicans who had been extremely skeptical of a "carpetbagging" former first lady coming to their neck of the woods. Dee Davis, founder of the Center for Rural Strategies, a non-partisan organization, said he believes the Trump appeal across the heartland has almost nothing to do with policy. “What Trump did in rural areas was try to appeal to folks culturally," Davis said, contrasting that with Clinton's comments about "deplorables" and putting coal mines out of business. "A lot of us in rural areas, our ears are tuned to intonation,” said Davis, who lives in Whitesburg, Kentucky, a Trump stronghold. “We think people are talking down to us. What ends up happening is that we don't focus on the policy — we focus on the tones, the references, the culture." While Clinton’s campaign was focused on television advertising aimed at suburban swing voters, there were ample warning signs that African American and Millennial voters weren’t inspired by her candidacy. Polls and focus groups showed young people disliked both candidates; in interviews, black voters were unenthused. But Clinton’s campaign assumed they would show up for her simply because they were afraid of Trump. Instead, many of them refused to fall in line. Eight percent of African American voters under 30 chose a third-party candidate, as did 5 percent of Latinos under 30, according to an analysis of the election results by the Democratic pollster Cornell Belcher. These “protest votes,” he argued, were enough to seal Clinton’s fate, even though this year’s electorate was just as diverse as 2012’s, and Trump did not do any better than Romney among young, minority voters. Clinton’s leisurely pace fed the perception that she thought she was marching to an inevitable coronation. Inevitability didn’t work out too well for Clinton in 2008, and it didn’t work this year, either. This was not a resounding defeat for Clinton and the Democrats, of course—she won the popular vote, and Trump received a smaller percentage of the vote than Romney did four years ago. But it exposed a wellspring of brewing discontent in the Democratic ranks—issues that, in retrospect, Obama’s victories and Republican dysfunction papered over for years. I disagree that this wasn’t a resounding defeat for Democrats—and Clinton won the popular vote because the reliably liberal state of California drove up the margins. In the Electoral College, it was a brutal beating: 306-232. Also, Republicans retained Congress; they control 69/99 state legislatures, 33 governorships, and the most lieutenant governors elected in history. Next year, the Republican Party will be the dominant political force in the country. Period. From the federal level to dogcatcher, the representative will most likely be in a Republican majority, which was thought to be in jeopardy due to Trump’s nomination. I don’t know about others, but I’ll once again say I was wrong. As both sides recover, we can expect Democrats to do the hard work of rural outreach for the 2018 midterms. That is unless internal struggles prevent them from getting organized. For Republicans, it’s a tall order regarding accountability. They will have a unified Republican government for the first time since George W. Bush presidency. They have to deliver and govern effectively—and without drama. At the same time, it’s about time the Republicans reached into the cities. Maybe not through social conservatism or tax cut advocacy, but by pressing hard on an issue that every demographic agrees upon, especially in these urban areas: school choice. It’s one of the keys to the city that actually touches upon other parts of public policy. The opportunity is here. Let’s see if the Right takes it.